POWDER SPRINGS, Ga. – Diana Maina slides the back door open and creeps inside her aunt’s tan and white suburban home. The shades are drawn, keeping the bright, summer sun at bay, as cartoons whimsically play on the T.V., illuminating the room—revealing the gruesome acts that had unfolded days earlier. Standing in the doorway of the kitchen, paralyzed with fear, the only thing she can see is blood. 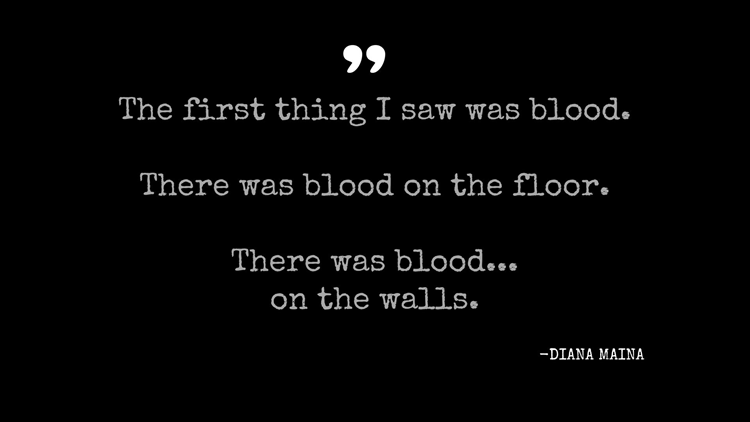 “There was blood, like, on the walls, and it was really, really dark,” her big brown eyes growing wide as she recounts what she stumbled upon. There were bodies everywhere she turned her gaze. 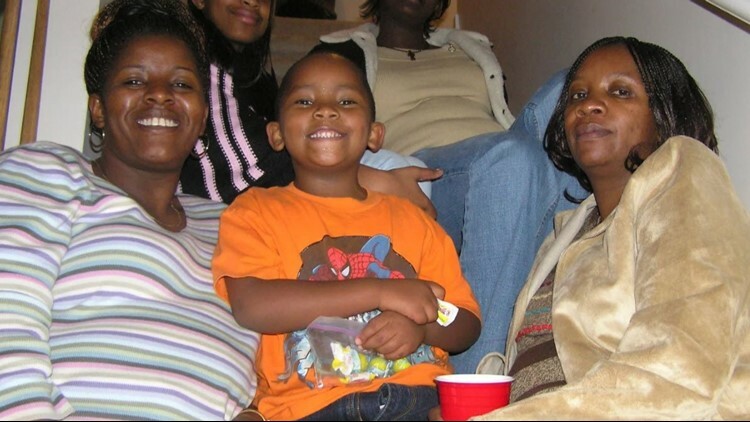 Her family was left beaten to death inside their home on Wednesday, Aug. 1, 2007. 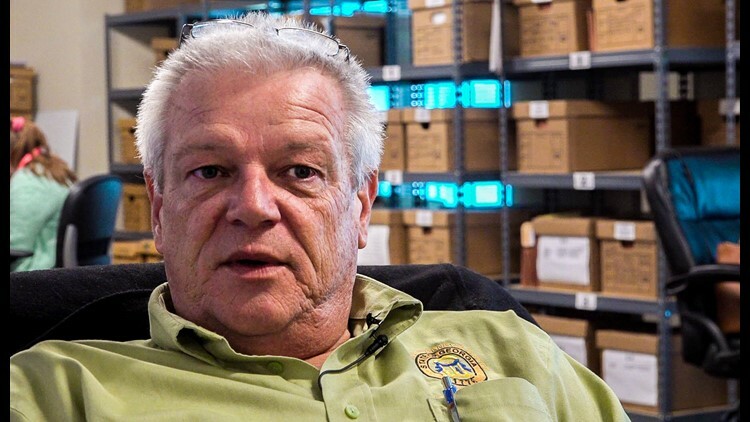 Now, a decade later, Cobb County Cold Case Unit detective John Dawes, the case's original investigator, is taking another stab at the case. Maina, then-21, was asleep when her aunt, Pauline Thande, woke her up at 9:30 a.m., in a panic. She had been trying to get ahold of Maina’s other aunt, Jane Kuria, without success. Her cousin, 11-year-old Peter "PK" Thande, had been staying with the family of four after arriving from Kenya. Her other cousin, Owen Thande, who was living next door to Maina, had been to the house the day before to check on him, she recalled. He told her that he looked through the side windows attached to the front door, but he couldn't see anyone or hear anything. He didn’t see any signs of struggle or disarray. Since he witnessed Jane’s black Toyota Corolla in the driveway in front of the two-car garage, she said, he just figured that someone picked the family up for dinner. So, he left without any further investigation. But by Wednesday morning, no one was answering the door or the phone. 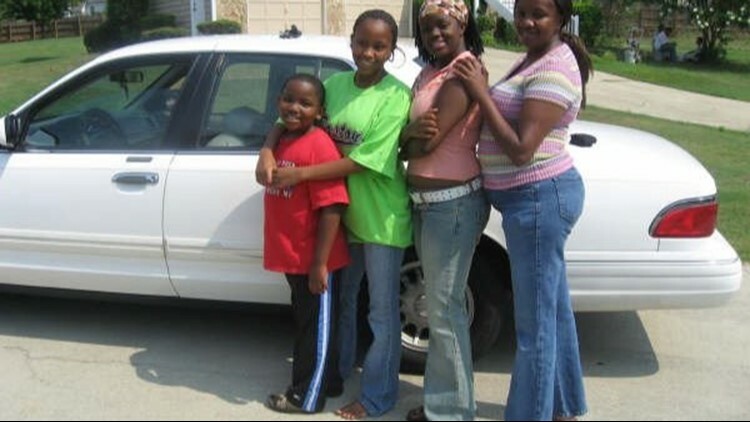 Maina, with her Aunt Pauline in tow, drives the 15 minutes to Kuria’s house, at 4789 Country Cove Way—which she shares with her two daughters, Isabela, 16, and Anabelle, 19, and her 8-year-old son, Jeremy. They pull up to curb alongside the unpretentious white house and park on the suburban street. The sun peeks through the clouds, burning the dew from the manicured lawn. Her aunt is in complete panic mode, talking a million miles a minute, shuffling up to the house. PK hadn't spent time with his mom since arriving to the United States from Kenya just days earlier, and she’s anxious to see him—and assumes she will once they knock on the door. Maina advises her aunt to climb the white steps leading to the green front door; meanwhile, she will check the back door to see if anyone answers there. Instead of knocking on the front door, Maina's aunt follows her to the back of the house. They check the back door and windows, framed with green shutters, on the ground floor, but cannot see anything or anyone. So, together, they hike the stairs to the split-level home’s second-story white deck. The sliding door is adorned with long, white, vertical blinds—closed except for about a foot they can peek through. Maina quickly realizes that the sliding door is unlocked and enters the kitchen, calling out for her aunt to step inside with her. But she does not find her family making breakfast. She sees blood, and lots of it. She immediately warns her aunt to stay back. Her aunt pleads with her to tell her what she sees. She thinks that the lifeless, blood-soaked body closest to her is her Aunt Jane because she was face up, but she cannot clearly make out her face because of the severe swelling. The two bolt down the stairs, when her Aunt Pauline begins wailing, begging for answers from Maina—asking her what she saw, who she saw, where, why? The young niece reiterates that she only saw blood. Maina grabs her phone to call 911, but she doesn’t know the address for the dispatcher, so, she darts to the mailbox, where she quickly finds a leaflet with their location on it to recite to the other end of the line. In a steady voice, the dispatcher asks her what she saw. “I saw a body on the floor and there's blood,” she relays to the operator. Without hesitation, the Powder Spring Police, black unmarked cars and rescue crews begin flooding the scene and entering the house minutes later. As a helicopter flies overhead, Maina catches a glimpse of an officer inside the door frame. He looks over to another officer and makes a gesture. He holds up two, and then, three fingers—indicating how many people are inside the home—how many survived and how many died. Maina sits inside a police cruiser as a veteran detective questions her, and finally, gives her some answers as well. It is Dawes. He’s assisting the Powder Springs Police on the case. He tells her two survived—noting that they had been unconscious for about 24 hours. “We need to know. We need to call everybody. We need to gather everybody. We need to call the family, because it's not just my aunt's son who's in there, all of these are cousins to us. We need let everybody know what's going on,” she said. PK, who is found unconscious next to the couch in the living room, and Jeremy, who lay bleeding in his bed, are taken from the scene and swiftly transported to a nearby hospital—one by ambulance and the other by medical helicopter, in an effort to save their lives. The detective tells Maina that all five were brutally beaten, but Jane, in the kitchen, Isabela, near the front door entrance, and Anabelle, who was in her bedroom, succumbed to their blunt-force traumatic injuries. “Everything just kind of stood still and nothing moved. Everything is going on, but you're not making sense of anything,” she said. “There was pain, anger—and more so, fear than anything else, because it's a whole family that are attacked and you wonder who else is next? “Are they coming for us? That day, no one slept. The family huddled together in a small room at the hospital. Everyone was trying to piece together their last moments, their last movements, the last thing that they were doing or the last time that they saw the Kuria family. 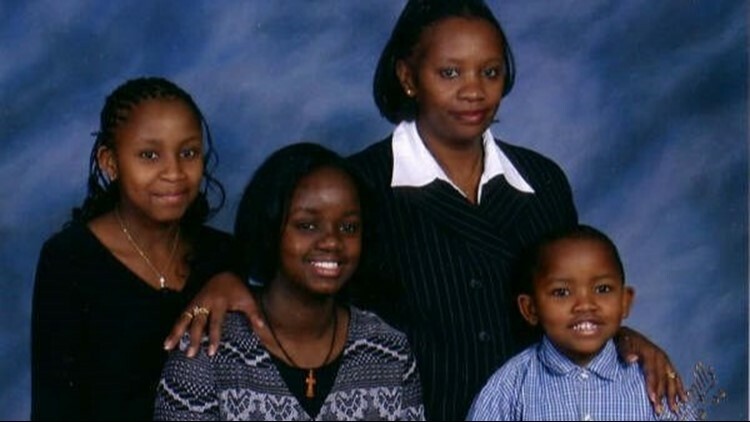 Jane, who moved to Georgia from Kenya with her children in 2002, was a single mother and widow. “Jane was really, really hard working. She was so dedicated to her family. And even after her husband died, she was so dedicated to raising her children,” Maina, who moved to Georgia herself in 2004. Isabela, who shared a birthday with Maina, was living in Chattanooga, Tenn., going to school to become a pharmacist, at the time of the attack. Every year, growing up, Maina, who graduated from culinary school, said, the two would celebrate together. “She was so polite… loved children,” she said. By 2007, she said, they had grown out of sharing their birthday, but Maina still wanted to do something special for her cousin. So, one day when she got off work, she ran to her neighborhood Walmart and bought her an India Arie CD and a card and dropped it off in her mailbox. Maina sent Isabela a text message to let her know that she left her a surprise inside her mailbox. Her cousin text her back and said that, she too, had left her something in Maina’s mailbox. Isabela got her an Amy Winehouse CD for her birthday. The smiles, the laughter and the birthday parties are just a handful of memories that were seized the day that Maina’s aunt and cousins were slaughtered. And the whole family, spanning multiple countries, craves the truth and justice. “We've had my grandparents die and not ever know whatever happened to their grandchildren or their daughter,” Maina said. The two survivors of the massacre have moved on with their lives, but cannot help but look back at the crime that changed everything, knowing that their family’s killer is still out there somewhere. It has taken Jeremy, now-18, time to heal—both physically and mentally, after losing his entire family to the unknown assailant. He recovered in the hospital for two months following the attack. But the mental scars have taken years to overcome. “He's getting there. He's getting better,” Maina said of her cousin who is studying in Kenya to be a doctor. He was asleep when the killer entered the home, doesn't remember much, she said, because he received a lot of blows to his head. PK, now-21, has recalled memories from that day, Maina said. He remembers someone coming into the house, but not who. Last year, according to Maina, while PK was eating ugali, a cornmeal dish with sautéed spinach, he looked at his mom and said he remembered that, that was the meal he was eating the day of the attack. He remembered the man who came to the house was wearing an African shirt. Today, he is studying at the University of Nairobi. “He is genius. 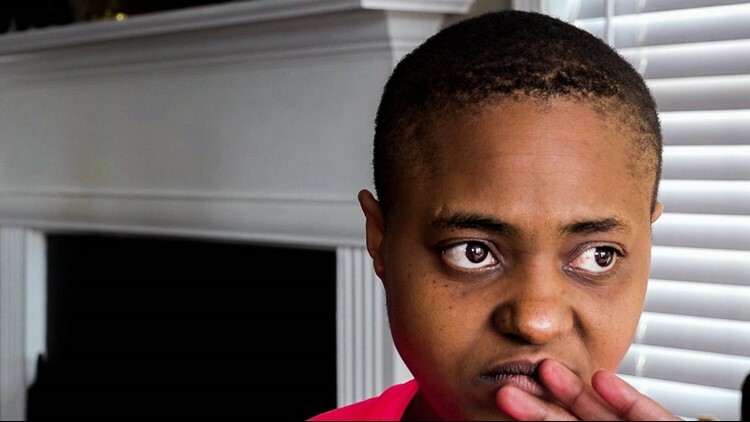 He's a straight-A student; he's just a special child,” Maina, now-32, bragged about her cousin. Now, she has her own family, including a 4-year-old daughter and a 2-year-old son, but the tragedy of losing her aunt and cousins a decade ago lingers in her heart. And although many family members have moved forward with their lives, not a moment passes by that Maina doesn’t remember what she saw, or what she felt that day. “I think there's been lasting effects on everybody, not just the boys. I think it's for everybody. Knowing where the bodies were lying and how much blood was on the wall, knowing just what they went through, it's going to be damaging for everybody." It’s an image she has never been able to erase from her memory. Maina is holding out for answers from Dawes. “It's never been closed to us and don't think he's ever closed it. I just think he went from it being a case to a cold case,” Maina said. It’s a case that has haunted Dawes. That’s why Dawes has kept the case open for a decade. “Having been in that initial investigation with Powder Springs, having the knowledge of the case facts, having relationships with the people that had been interviewed, to be able to get back in touch with them and say, ‘Hey, I'm still on it, in 2017, 10 years later,’ gives them a feeling that someone who knows the case is still looking at it." >>>MORE | Gone Cold: What do you think happened to the Kuria family? “And it's a situation for me, where it's a good thing that I didn't just quit. I didn't just walk through cases for almost 30 years and then walk away. I'm still living those cases, I'm still able to work through those cases and see if I can find the answers now, years later,” Dawes said. And his diligence to her family’s case has meant the world to Maina and the Kuria family. “Nobody can really say how grateful we are. He has really been there, and he always answered our phone calls and questions. And anytime we have a concern, he'll always have us go to his office. I'm always going to be forever grateful for him. I am." And she is confident that he will find who did this to them, and that he will make sure they get justice. “He's very passionate about this particular case. I do believe he'll come to the bottom of it. I do,” she said. “It's been 10 years, but we're still here. We still all love each other and care for each other, but I think we all feel the same way. It's about time it's closed, and we all got some closure." If you have any information, call the Cobb County Cold Case Unit at (770) 528-3032.